My absolute favourite lipsticks are MAC lipsticks, which is a big claim coming from a lipstick lady like myself. I'm going to talk about my newest addition to my collection which is 'Impassioned'. 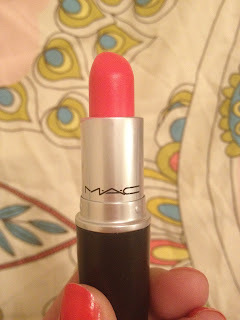 MAC describe it as an "amped-up fuchsia" but I actually think it has the perfect mixture of red, pink and an orange/coral tinge. Even my house-mate complimented me on it and asked "Is that red or pink?!" Impassioned is an Amplified Creme lipstick so is a really intense and long wearing lipstick but smooth and also quite moisturising. 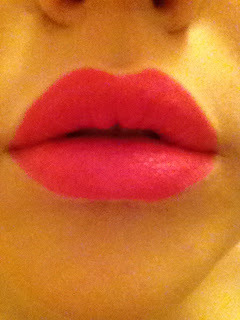 It also stains the lips evenly so looks nice for ages. This is the sort of colour that looks amazing on pale skin and tanned skin. 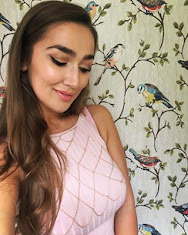 I have a range of different finishes, including Frost, Satin and Glaze but this is my first Amplified Creme lipstick and it is by far my favourite finish. 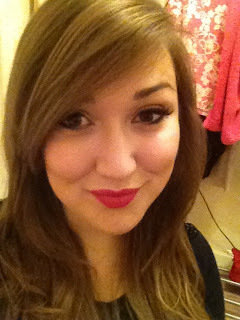 I love vibrant lipsticks and the photos I have taken don't do it justice! It is the also the lipstick I'm wearing in my photo on the right of the page. Need to start using my digital camera instead of iPhone! I'll do a post on the other ones I have soon as I loooove rattling on about them. 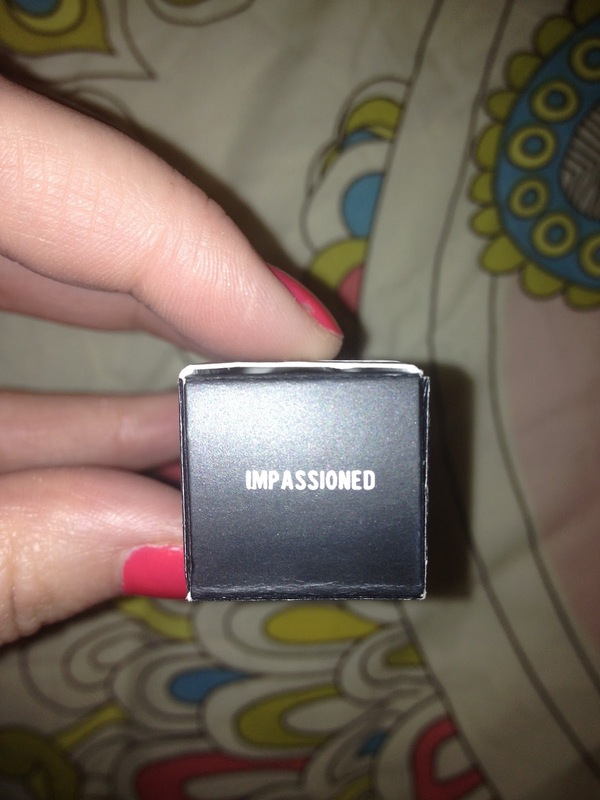 Impassioned was my first ever MAC lipstick. Thank you so much for adding my blog button to your site. I have pinned you to my UK blogger map with links back to your blog and your twitter. This looks amazing on you !! I wish I could wear a lipstick like this.. 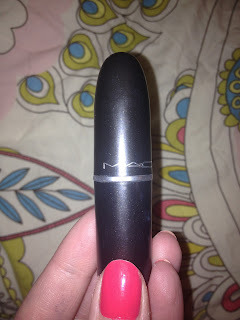 I'm inspired to have another look at the mac lipstick after reading this post !! I just won a give away and I got to chose a Mac lipstick I wanted i went for this one :o) Cant wait for it to arrive. This is such a pretty color! Looks like a perfect color for spring! Thank you! 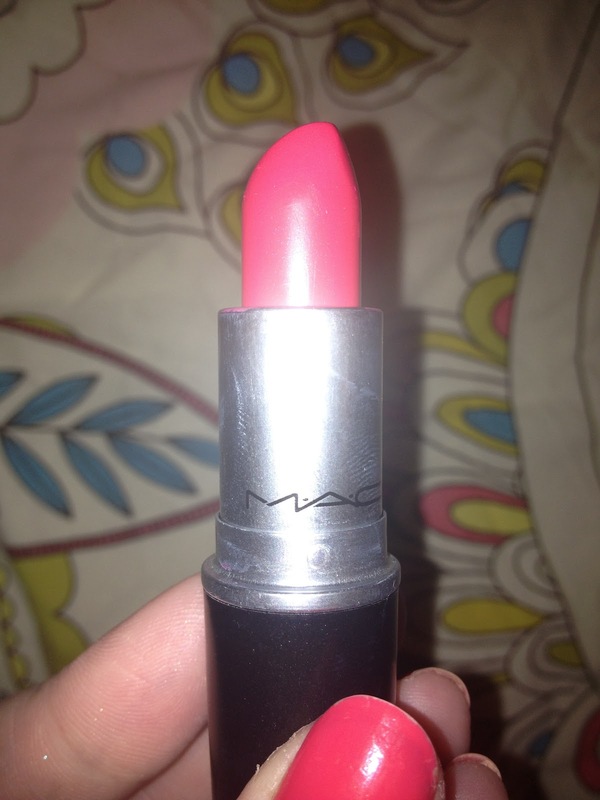 Absolutely love everything about this lipstick! 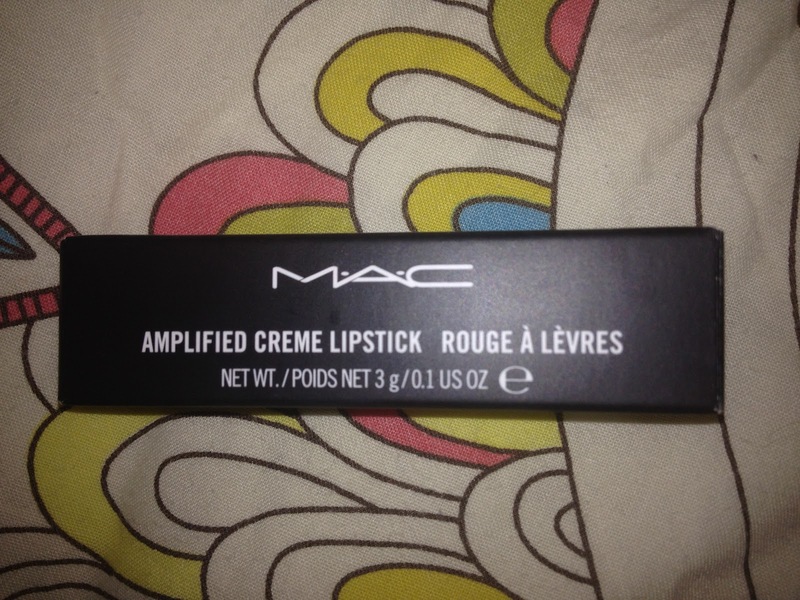 This colour really suits you :) I can't believe I dont have this in my collection! Gah I want this colour now! Ordered Rebel a couple of weeks ago and soo want this colour now!